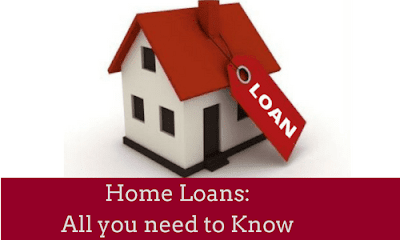 Home or House loan is a loan offered by financial entities (generally banks) to an individual to help in buying or built a house or Apartment. The property is mortgaged to the lending entity as security till the loan has been paid back with the interest as agreed. The value of the property determined the amount of loan. There are different type home loans available in the market. The types are differentiated and described below. These loans which are provided for the buying of a house or an apartment are the most basic category of home loans. - The loan amount is 80%-85% of the property value. This type of loan provided for assist in the improvement and home renovation work. - They are available for any kind of renovation in a home. This type of loan usually provided to purchase a piece of land or plot for construction. -Land loans cannot be avail for buying agricultural lands. .This is normally a short term loan and the loan can be used to purchase the new home and repay the bank once the existing home is sold. This kind of loan provided when the borrower wants to extend an existing house. This type of loan provided when the borrower wants to construct a new home. There lots of banks and NBFC (Non-banking financial company) which provide homes loans to borrowers. Any individual can avail these loans from any commercial banks and NBFCs on a various floating and fixed interest rate. These interest rates depend on the loan issuer entity. My name is Ramandeep Singh. I love to help people preparing for Bank exams.